Ritalin is made up of Methylphenidate (MPH). It is an amphetamine-like prescription stimulant commonly used to treat Attention Deficit Hyperactivity Disorder (ADHD) in children and adults. It is also one of the primary drugs used to treat symptoms of traumatic brain injury and the daytime drowsiness symptoms of narcolepsy and chronic fatigue syndrome. In the United States, Ritalin is classified as a Schedule II controlled substance, the designation used for substances that have a recognized medical value but which have a high potential for abuse. Some people abuse Ritalin by crushing the tablets and snorting them, the "high" resulting from the increased rate of dopamine transporter blockade due to quicker absorption into the bloodstream. In this manner, the effect of Ritalin is similar to that of cocaine or amphetamine and such abuse can lead to addiction. 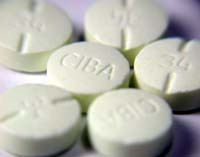 Ritalin is extensively over prescribed in the United States, especially among children. It transforms healthy children into "zombies", stifling their creativity and intellectual energy.Ritalin has been used illegally by students for whom the drug has not be prescribed, to assist with coursework and examinations. Some may use it recreationally in combination with alcohol to attempt to counter the downing effects of excessive drinking, presumably allowing the user to stay fairly awake and social while heavily intoxicated. Because stimulant medicines such as Ritalin have such a high potential for abuse, the U.S. Drug Enforcement Administration (DEA) has placed tight, Schedule II controls on their manufacture, distribution, and prescription. For example, the DEA requires special licenses for these activities, and prescription refills are not allowed. Also, each state may impose further regulations and restrictions, such as limiting the number of dosage units per prescription. Symptoms of Ritalin overdose may include: Agitation, confusion, convulsions (may be followed by coma), delirium, dryness of mucous membranes, enlarging of the pupil of the eye, exaggerated feeling of elation, extremely elevated body temperature, flushing, hallucinations, headache, high blood pressure, irregular or rapid heartbeat, muscle twitching, sweating, tremors, vomiting. A growing number of youngsters taking the drug Ritalin® (methylphenidate) experience overdose, researchers report. The study looked at the frequency of Ritalin overdose cases reported to a regional poison control center in Detroit. Children ages 6 to 9 years were at the greatest risk of overdose, compared with other age groups. Over a two-year period, 289 cases were reported. Of these, 31% developed symptoms. Most common adverse effects included tachycardia, agitation and lethargy. Most cases were due to parents or caregivers unintentionally giving patients excessive amounts of Ritalin.